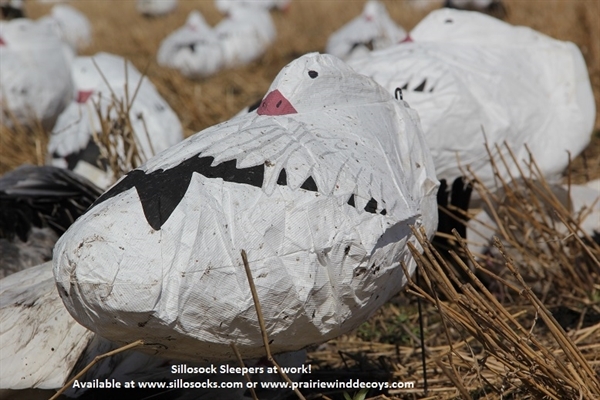 These NEW Snow Goose Sleeper Windsock Decoys (SS1012SLPR) by Sillosock Decoys come with a sewn in 3D Sleeper head for a realistic look that has never been seen before! 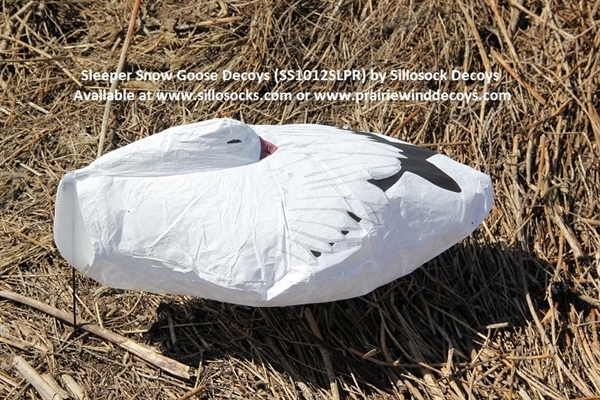 Compare these Snow Goose Sleeper Windsock Decoys by Sillosocks Decoys to any sleeper shell decoy on the market and the choice is clear. This design is unique! 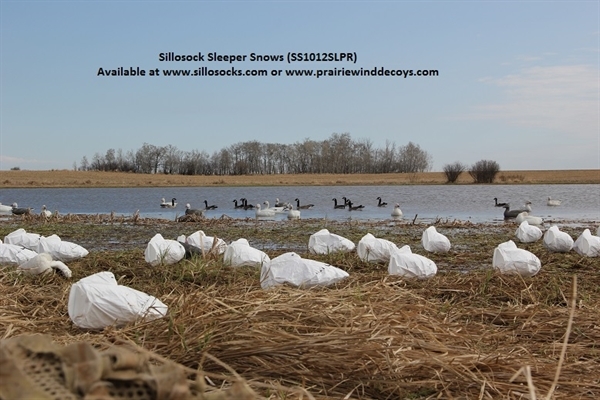 Use the NEW Sleeper Snows with your floater rigs, on ice, around ponds, pastures, and feed fields to give your rig a new look. 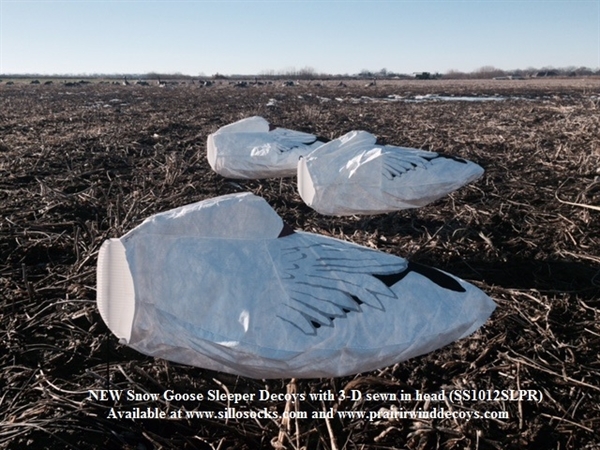 These Windsock decoys work! 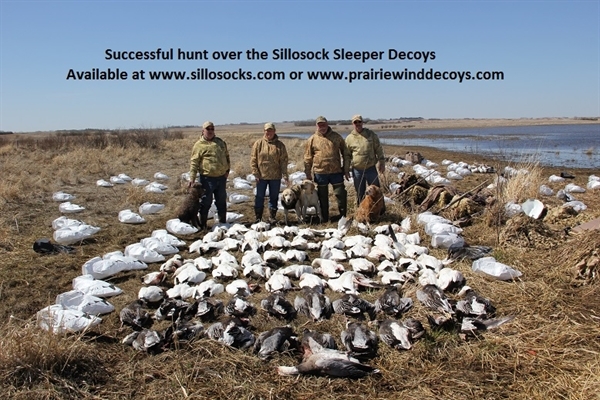 Mix them with other decoys or use them on thier own. 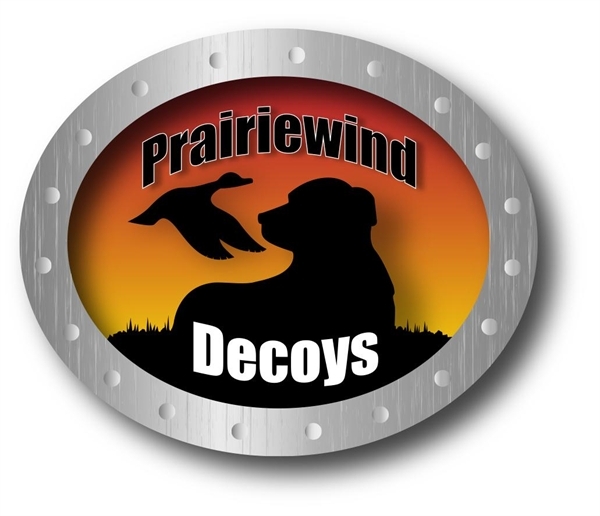 Decoys measure 20" long, 12" wide. 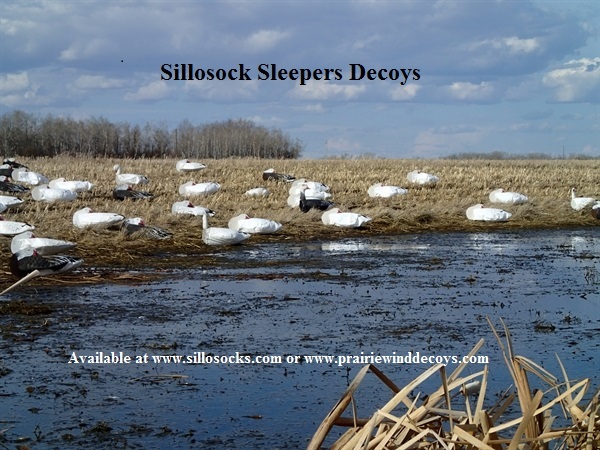 They come with 15" Hooked stakes. 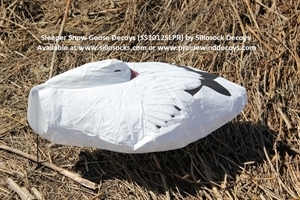 These NEW Sillosocks Snow Goose Sleeper Windsock Decoys (SS1074SLPR) by Sillosock Decoys are Lightweight, compact, mobile decoys. 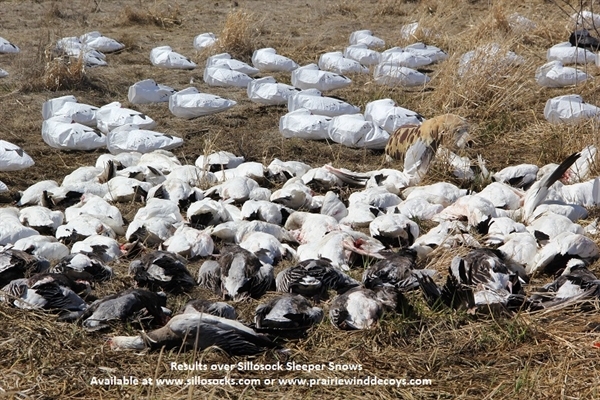 There is no comparison to heavy expensive shells. Leave your gas guzzling trailers at home! 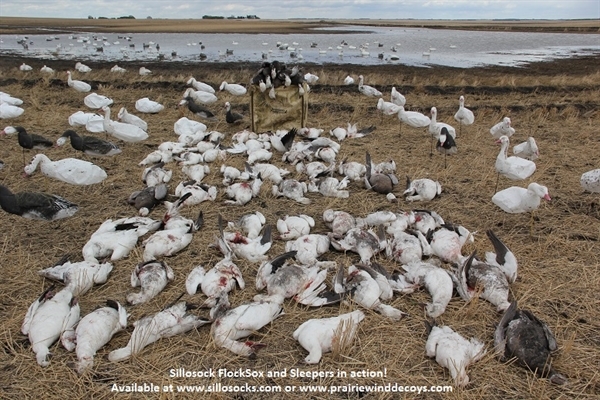 One cube bag will hold approx 300 decoys! **SALE** Normally $80/dz. 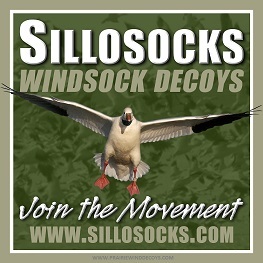 On Sale now for $49.95/dz! !